At hirediggers.ie all our mini digger hire machines are thoroughly cleaned when they return to our depot after every hire session. They are then brought in to our workshop where they are inspected and any maintenance is carried out. With regular servicing & inspections we ensure reliability and minimise breakdowns. Our customers can feel confident that their machines will arrive on site in perfect working order. Delivery and collection from €20 each way. 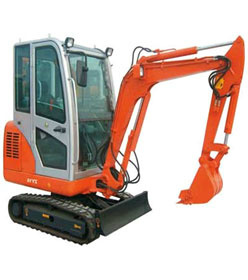 One week hire for this digger 1.6 tonne is €420. ROCK BREAKER FOR THIS DIGGER IS €80 PER DAY. 3 Tonne Digger Width 1530mm=5ft approx. Total cost first day hire €190. Extra cost for second and third day hire €140 per day. 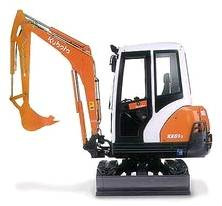 WEEKLY PRICE for digger €450. A small deposit of €150.00 is required. We offer same day time Plant hire delivery and a back up service that won't be beaten. With competitive pricing and packages to suit your needs.